Detailed information and reviews of Arkansas entertainers, musicians & bands and dance schools. Find local clubs, bars & pubs and venues. Get no obligation price estimates and quotes. Bass Guitar - I am looking for someone to teach me how to play bass guitar, beginning instruction for the adult learner. Classical Guitar Lessons - I was wondering if you provide lessons for classical guitar for adults and what the fees are? Thank You. Fiddle Lessons - I have made a committment to myself to learn the fiddle. I have bought on-line lessons but they are not what I am looking for. Piano Lessons - Beginner Lessons in Piano for an adult female. One lesson a week. 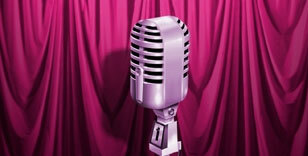 Singing Lessons - I would like to take singing lessons but I would also like to know how much it would cost. Drum Lessons Needed! - Looking for a drum teacher for my son. We live in North Little Rock. Quite for voice and piano - Need quote for my grandson, Tyler. He is six--sings well and I want him to have voice and piano lessons. Live in West Little Rock. Banjo Lessons - Requesting a quote for Banjo lessons for my 15 yr. Old son.